Jamie and Tony’s elegant downtown Tampa wedding was dear to my heart as the bride and groom our dear friends of mine. In fact, Jamie is the person who encouraged me to take Marry Me Tampa Bay full-time! The bride was a long-time resident in downtown Tampa (she lived literally two doors down from me), so it was special for the pair to getting married in the city. 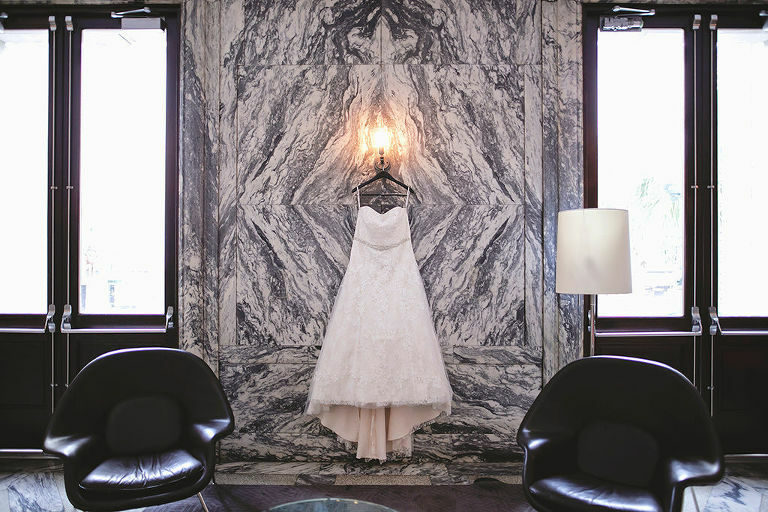 “We live in Tampa and love it, especially downtown!” the bride gushed. Music is a big part of the couple’s lives, which they incorporated by having the bride’s brother play guitar at the ceremony as well as other personalized details. “We wrote our entire ceremony and own vows, we used a beer growler for our sand ceremony, and we had a choreographed first dance,” the bride shared. 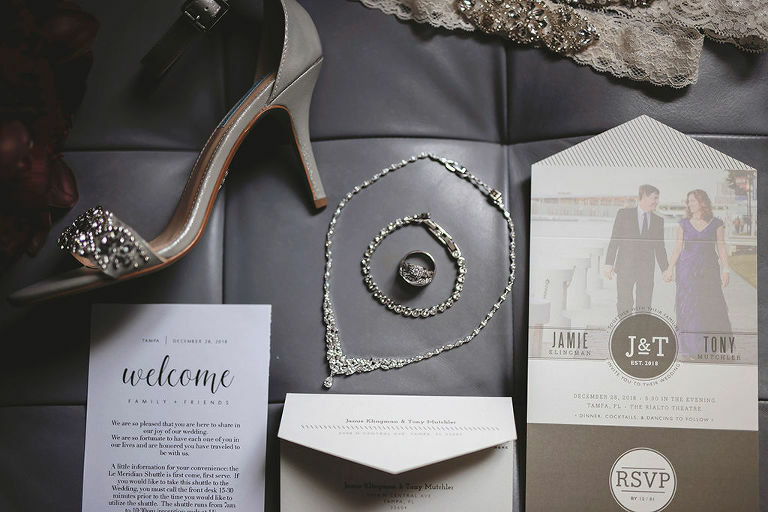 Jamie is a successful businesswoman with limited time but who cares about the details, so I stressed the importance of hiring a Tampa wedding planner and recommended our favorites. When it came to a wedding hair and makeup artist, the bride chose LDM Beauty Group, whom she had used previously for business headshots. “We knew and trusted Lindsay of LDM Beauty Group to make us look like us, only even better. I wouldn’t use anyone else!” Jamie gushed. The couple’s romantic charcoal and merlot reception included a unique layout, with open guest seating with two lounges, multiple food stations, including a bacon bar and dessert room. 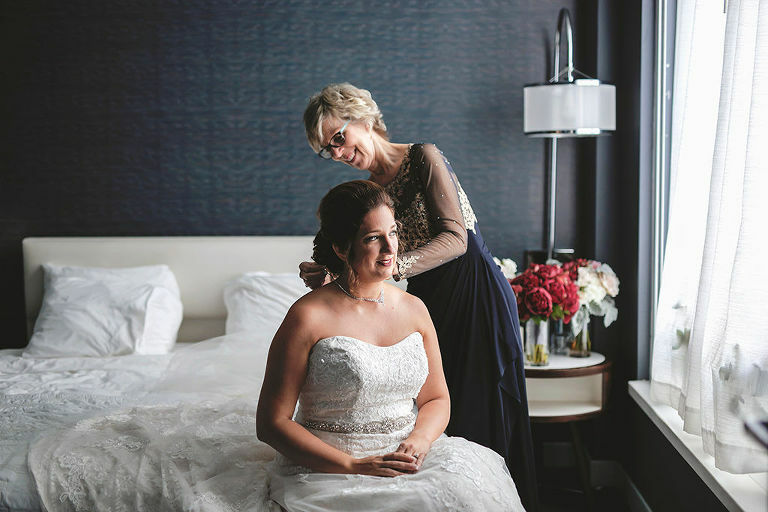 Looking back, the bride shared that the entire day was unforgettable. 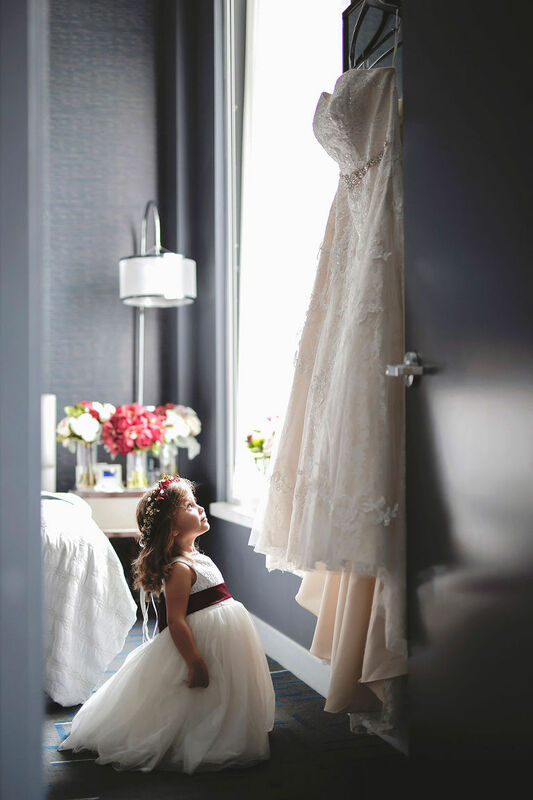 “Our most memorable moments included our ceremony, first dance, and really everything!” Jamie reminisced. Tony proposed dressed as a knight in shining armor on a white horse. What did you look for in a wedding hair and makeup artist? We knew and trusted Lindsay of LDM Beauty Group to make us look like us, only even better. I wouldn’t use anyone else! Someone who was as fun as us, but also as detailed oriented as us. Kelly of Kelly Kennedy Weddings and Events was perfect, and we can’t imagine having anyone else. We have also referred her on with much success.